Minister of Transport and Public Works, Jappie Mhango, has sponsored a netball bonanza to a tune of K2 million scheduled to take place in Mzuzu next month. 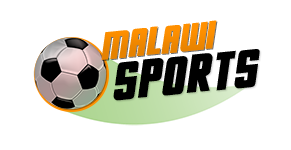 The development has been confirmed yesterday by a local newspaper, and indicates that Natball Association of Malawi General Secretary, Caroline Bapu, is the one who has secured the deal. Northern Region Netball Committee (NRNC) chairperson, Chancy Munthali, confirmed the development and thanked the sponsor and Bapu for the gesture. “I was briefed by North Committee on the development but let me also thank Bapu our GS for the big role she played,” she explained. The bonanza will take place at Katoto Secondary School netball court in Mzuzu, and will involve all netball teams in the Northern Region.